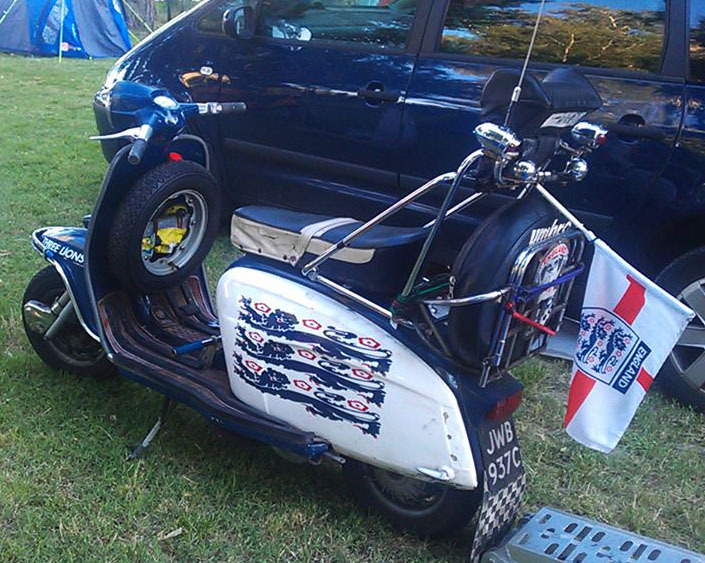 EuroLambretta 2013 – England Win on turnout! Total from UK; (England, Wales, Scotland & Northern Ireland): 360! Incidentally, I bet there are some Welsh boys there. Let me know! Total from the British Isles… as above, plus Ireland… 368! Serious well done for anyone that rode there. And bear in mind some countries are smaller than others, and some are further away… big respect for the Yanks and the Aussies, and Chris from South Africa. This entry was posted in Lambretta Life, News and tagged Avignon, British Isles, England, Euro, EuroLambretta, Events, France, Northern Ireland, Scotland, Wales by crocodilejock. Bookmark the permalink.